Kevin Stollings (No. 99 Roof Systems Honda CRF450R) completed the podium in third, with Oliver Brindley (No. 24 Yamaha/Hayley/Fox Plant Yamaha YZ450F) and Morgen Mischler (No. 69 Cycle Craft Yamaha/Rohde's Sales & Service Yamaha YZ450F) rounding out the top five. 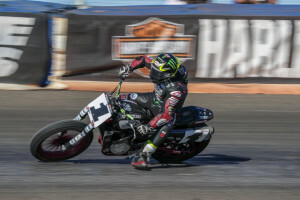 Be sure to catch the Harley-Davidson Atlanta Short Track presented by Hellbender Harley-Davidson on NBCSN next Saturday, April 14, at 5:30 p.m. ET (2:30 p.m. PT). 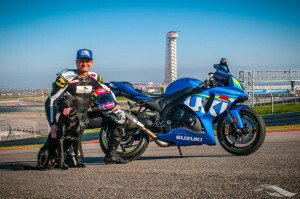 For a complete schedule of AFT's broadcasts on NBCSN, please visit http://www.americanflattrack.com/events-nbcsn. 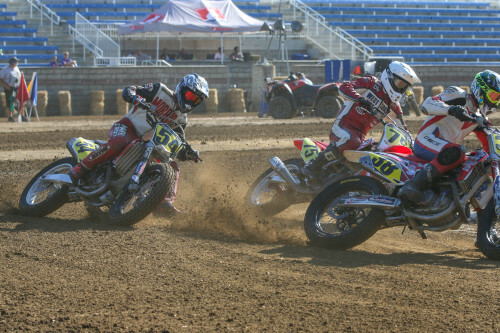 NBCSN and FansChoice.tv are the official homes for coverage of American Flat Track. For the 2018 season, NBCSN’s coverage of AFT moves to highly-coveted, weekend afternoon programming slots within two weeks of each event. The complete schedule for AFT on NBCSN can be viewed at http://www.americanflattrack.com/events-nbcsn/. FansChoice.tv remains a cornerstone of AFT's digital strategy, providing live streaming coverage of every event on AFT’s live page while previous events and exclusive features are available on AFT’s VOD page. 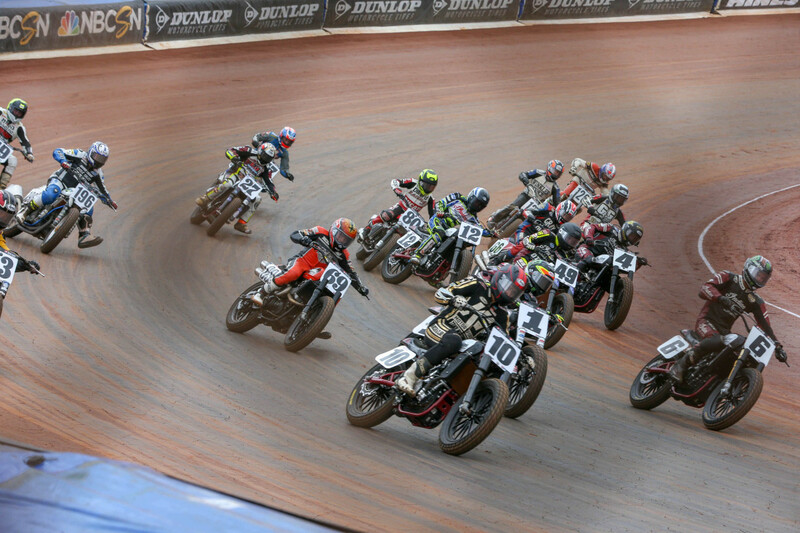 American Flat Track is the world's premier dirt track motorcycle racing series and one of the longest-running championships in the history of motorsports. 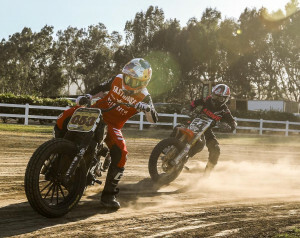 Sanctioned by AMA Pro Racing in Daytona Beach, Fla., the series is highly regarded as the most competitive form of dirt track motorcycle racing on the globe. For more information on American Flat Track, please visit http://www.americanflattrack.com, like us on Facebook, follow us on Twitter, check us out on Instagram, live stream the events at FansChoice.tv and catch all the American Flat Track racing action on NBCSN.